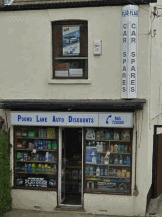 Looking For A Basildon Car Spares Shop? If you live in the town of Basildon and are in urgent need of some car parts, spares or accessories then you have two choices that you can make. Either you can look for a shop, or outlet nearby who may have the spares that you require. Or the sensible choice is making a quick call or email to Car Spares Essex the online route to Pound Lane Auto Discounts, the number one car spares shop in the whole of Essex. That sounds like a bold statement to make you may be thinking? Even sounds a little boastful ? And over the last 30 years since we first opened our doors way back in 1981, we have been providing car parts to the whole of Essex, and Basildon too. In fact we are amazed at the distance that people actually travel to join our happy band of loyal car spares and parts buying customers, who come back to us year after year. And we are so pleased that they do just that. Ok, Ok You Sound Great, But What Vehicles Can you Supply Parts For? That’s a very good question, and as you can see on the E-Store pretty much we can supply the majority of cars that you will find driving around the streets of Essex. 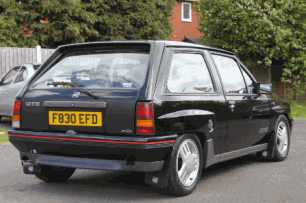 Fords obviously, Vauxhall definitely, even Hummer…..yeah sure. Even old cars that might be being rebuilt in the gardens and garages of houses in Basildon, we can supply stocks of distributor caps, points, plugs, filters, Oils, Engine mounts to list a few. I guess the simple fact to whether we have the spares and parts in stock that you want, or can get them for you will involve you giving us a call or else you can use the order form by clicking here. Most of the time we will have the spares or parts in stock, but other times we may have to order it for you……many times getting it within a couple of hours, or the next day. Do other car spares shops in Basildon do this? Well to be honest I don’t know, but we know that we do and it’s just a little bit of our service that our customers rely on, and keeps them coming back year after year. 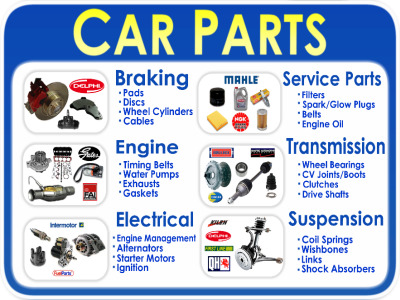 The list below will give you a good indication of the vehicles that we have no problems getting parts and spares for, although if you have an older vehicle still give us call. It may just take a little more time but most of the time we can get the item you want, or at least be able to tell you where to go to get your car parts. After 30 years we have built up a huge network of car dealers, breakers, and shops that can help us out. 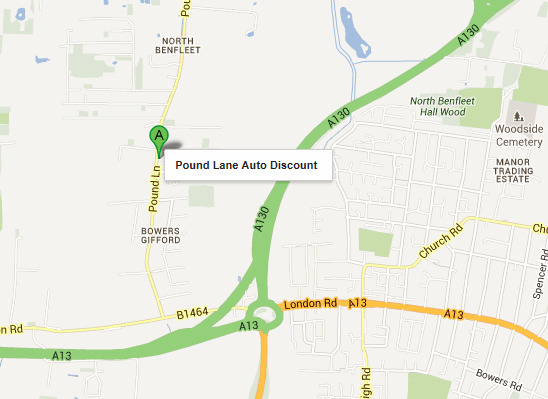 So where Is Car Spares Essex aka Pound Lane Auto Discounts Then? From wherever you are based around the town of Basildon, it is really only a very short drive. We are more than conveniently placed between all the main transport routes that move the traffic (and our customers) around Essex. And it doesn’t matter where you are in the county, as from the A127, A13, or A130 we are only five minutes drive. So even if you live outside of town it won't seem too far a drive. Click on the link at the bottom of this image and enter the postcode of your home, and you will get step by step turn by turn driving instructions right to the door of Car Spares Essex aka Pound Lane Auto Discounts. Would You Deliver Parts To Me? Although we try our best to provide everything for our customers, deliveries are one thing that we don’t do. Being a little old shop, we have to focus on the best use of our time, and that is taking orders and serving the people that are willing to give us their custom. We would let them down, if we were not there as we were delivering car spares to our customers. So no, deliveries is one of the things that we will not be doing I'm afraid.